The smallest, fastest, most feature-rich PDF editor/viewer available! Create, View, Edit, Annotate, OCR and Digitally Sign PDF files plus much more.. Designed for anyone from home users to large corporate environments that wish to View/Edit/Modify and even OCR Image based PDF files on their Windows PCs. 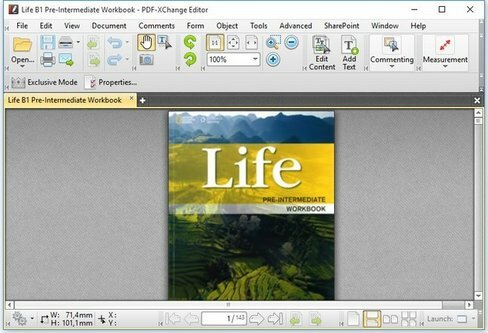 The PDF-XChange Editor is smaller, faster and more feature rich than any other FREE PDF Reader/ PDF Viewer/ PDF Editor available on the market. This free pdf editor download also allows users to try the extended ality offered by the licensed PDF-XChange Editor in uation mode for free. No PDF reader or Viewer offers more features than PDFXChange or does so without compromising performance, quality or security. Checkout the feature list below and save $100's in unnecessary expenditure on your PDF software solution today. Move Pages By Drag&drop in Thumbnails View.